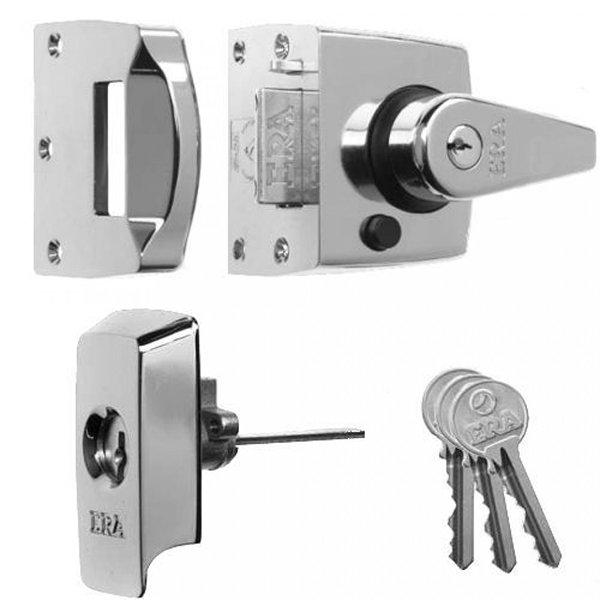 WE HAVE BEEN FITTING THESE FOR YEARS TO OUR CUSTOMERS DOORS – we have no problem with them – they are a quality lock and easy to fit – unlike the Yale PBS which we think are awkward to fit and not as reliable. The Era B.S night latch is among the strongest out there it conforms to B.S 3621:2007 which meets the requirements of insurance companies and is secured by design which is police approved. It’s a nice meaty solid unit that will cover up the foot print of any previous night latches more importantly the staple will highly likely cover up the foot print of old staples so less filling to do if not a fresh fit. – Although a solid unit it is a stylish smart looking lock. 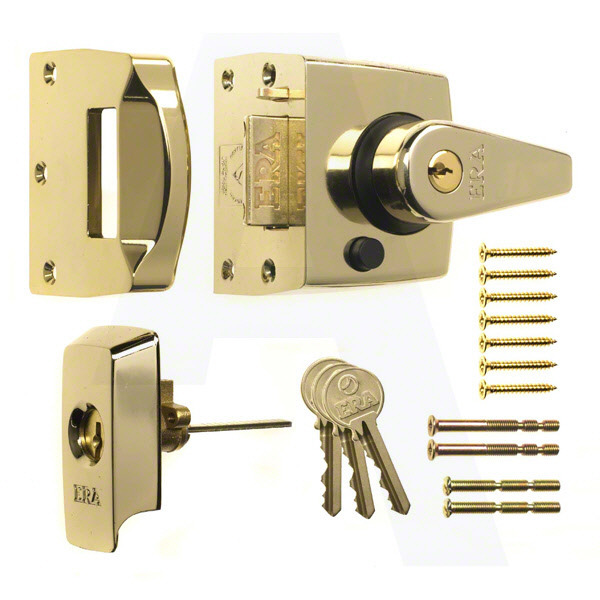 The night latch itself has a 20mm bolt throw (the same as B.S mortice locks) and is automatic deadlocking which means it’s virtually impossible to slip open. 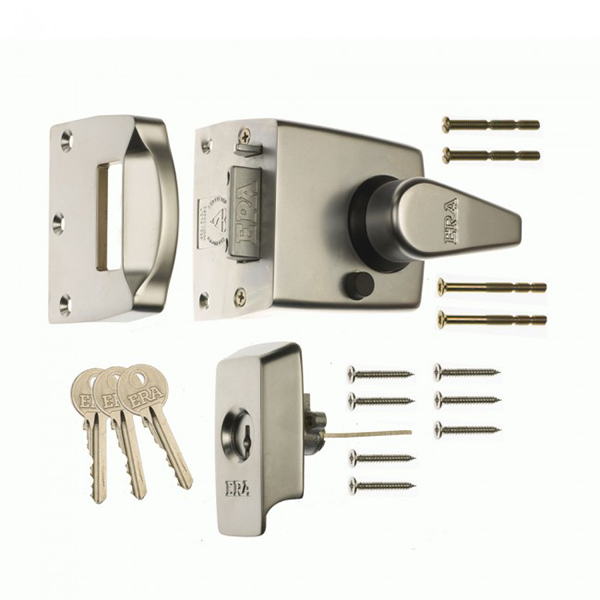 This lock is great for glass panel doors as the handle can be dead locked from inside – which means if an intruder was to smash the glass and reach in the lock would not open – however it can be over ridden with the key from inside or out.